Cavematty's Sketchbook: Give me back my Preschusss! Give me back my Preschusss! 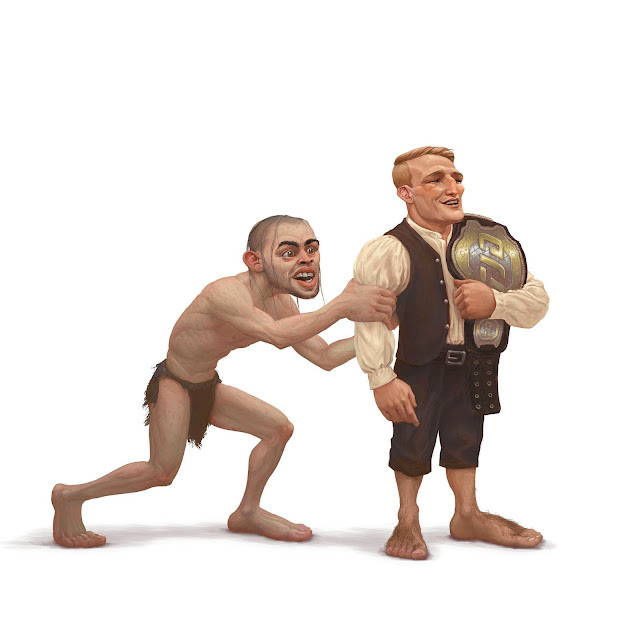 Here's one I did a while back for the rematch between former UFC champion Renan Barao and the man who dethroned him. Barao had been on a tremendous tear, unbeaten for nearly 10 years. Then he met TJ Dillishaw who had the perfect skillset and a very specific game plan to completely shut down Barao and dominate the fight. It's hard for a successful veteran of any skill to reinvent themselves on short notice. When they met again a year later it went much the same way as many had expected it would. TJ remains one of my favourite fighters to watch due to his unusual stance switching style and aggressive presence. Matte painting, concept art and illustration. Currently based in Vancouver, working as a matte painter on a Dreamworks show.